Today Arlington Career Center (ACC), a regional Career Technical Education (CTE) facility, hosted Congressional staff and other interested stakeholders who had the chance to get a first-hand look at a number of CTE programs in action. Located in Arlington, Virginia, the center is nestled near the urban areas of Northern Virginia. The visit was organized by the Association of Career Technical Education (ACTE) and was a great opportunity to showcase ACCâ€™s commitment to rigorous and engaging CTE programs which serve over 1,100 students in the district. 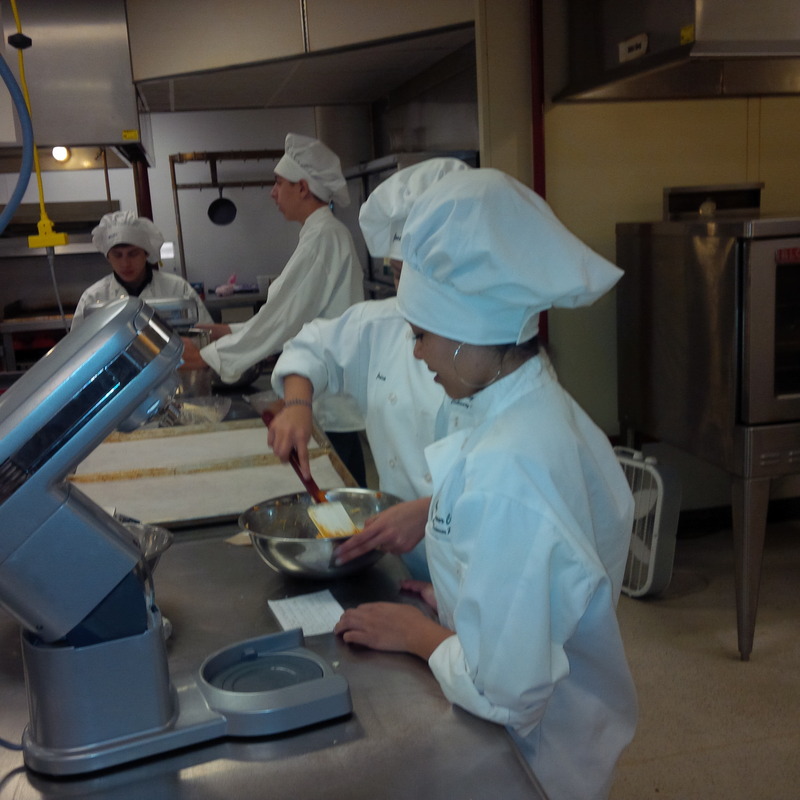 The visit began with a demonstration from the Culinary Arts program, where students were hard at work baking cookies for an upcoming holiday event. Chef Michael Natoli, the instructor of the program, highlighted the many careers his students have been able to pursue thanks to the training they received in his classroom. Alumni of the program have gone to some of the top culinary institutes in the country and many have pursued rewarding careers in the field. After wrapping-up with the student chefs, visitors were taken on a tour of the rest of the center. 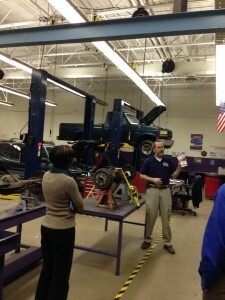 Â The automotive technology and auto body repair programs were visited next. Instructors there stressed the value of the programâ€™s relationship with local businesses and highlighted the experiential learning opportunities many area employers are able to provide students during and after program completion. The Mercedes dealership in particular has a strong affiliation with ACC where some students have gone on to earn well over a six-figure salary with credentials and certificates earned through the center at no cost to students or their families. Throughout the tour similar partnerships and other best practices were shared with those visiting. For instance, ACCâ€™s communication and information systems programs help graduates become certified with Adobe for the companyâ€™s suite of software. Students in other programs have the opportunity to learn the technical skills for television and video production and have been able to put them to use later on in their education and careers. Many ACC students have the opportunity to earn college credits while still in high school which has helped them transition to other postsecondary opportunities in their field. Every program provided rigorous, hands-on, content and quite a few afforded students the opportunity to â€œtest driveâ€ their career of choice before graduation. This was the case for many health science students who, in conjunction with the local emergency services, are expected to go on ride-along trips with career mentors in their prospective area of study. At the conclusion of the tour a panel discussion was convened where students, faculty, and state officials discussed ACCâ€™s ongoing successes and focused on the many opportunities these programs have given students. Â On the whole, the visit to ACC was a great experience for everyone involved and truly helped to showcase the important and lasting impact CTE programs have on students and their surrounding communities. As Congressional interest in federal CTE legislation intensifies, these types of visits will be an essential part of highlighting the importance of federal investment in CTE through the Carl D. Perkins Act. NASDCTEc and its partners in the CTE community look forward to this process and applaud the great work on display at ACC today. This entry was posted on Friday, November 22nd, 2013 at 3:49 pm	and is filed under Uncategorized. You can follow any responses to this entry through the RSS 2.0 feed. Both comments and pings are currently closed.